Easy to construct home DIY, supplied with Erection Manual and drawings. 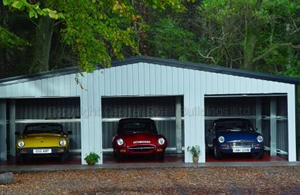 The apex of any garage can either run along the entrance side ie Long Length or the gable end ie Short length. Any number of doors can be added, provided the building size can support them.